Grab your earplugs and head to Empty Bottle tonight for some metal. Oregon experimental-metal duo the Body has paired up Louisiana post-doom band Thou to deliver Sabbathy guitars, abrasive electronics and high-pitched vocal stabs that should shake the nails out of the walls, according to the Reader's Luca Cimarusti. 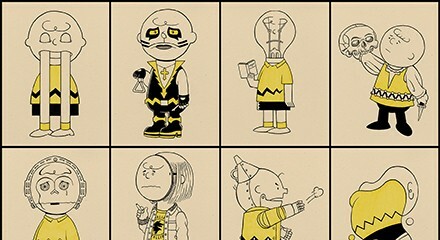 If you like Peanuts or the color yellow, you may like Rob Jones's first solo show, "Grief," at Galerie F. The gallery will celebrate its two-year anniversary starting tonight with 100 self portraits of Jones, inspired by Charlie Brown. Jones is an accomplished artist who won a Grammy for his work on the White Stripes box set Under Great White Northern Lights. Go back in time to boxing's golden age at the Logan Square Auditorium tonight with the Schlitz Bouts. Schlitz Brewing will present an evening of boxing and period-specific entertainment, including comedians, burlesque dancers, and musicians. Naturally, there will be plenty of beer.